New Zealand is clean, quiet and amazingly beautiful country to visit. It has greenery all around with lot of different places to see. From rivers, lakes to beauty beaches – its all there in New Zealand. In between, currently I am in New Zealand (on vacation!). 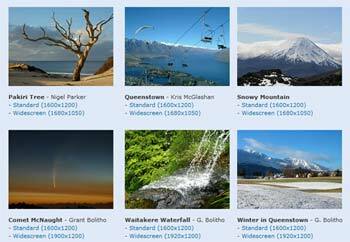 I have clicked loads of images of beautiful places in New Zealand. However, you can relish scenic view from New Zealand courtesy Microsoft’s New Zeland Bliss desktop wallpapers collection. It has lot of beautiful wallpapers in different screen resolution all ready to grace your desktop. Click here to view and download awesome NZ Bliss wallpapers!